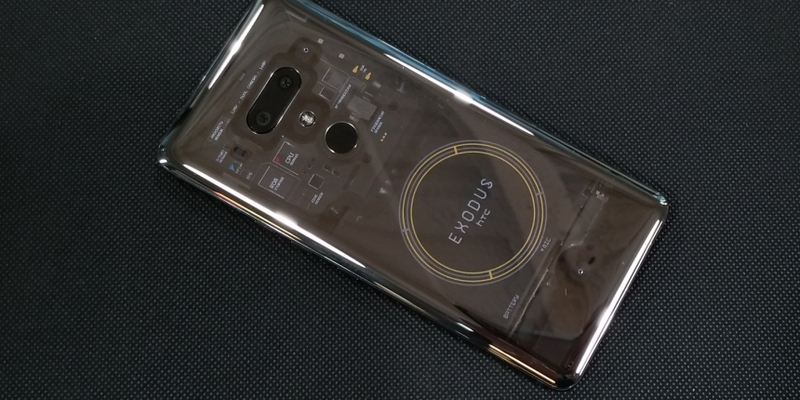 Previously only available for purchase with bitcoin or ether, the HTC EXODUS 1 can now be bought with U.S. dollars and other fiat currencies. Announced Tuesday during the Mobile World Congress in Barcelona, the company has also expanded the range of cryptocurrencies accepted for the phone to include litecoin and the Binance exchange’s BNB token. Phil Chen, “decentralized chief officer” at HTC, told CoinDesk that “this is more of a core launch” after the phone’s early access period began last year. For now, the $699 phone is still exclusively sold online. While Chen said HTC will work to potentially begin selling the device in carriers’ stores, conversations with these carriers are still in the early stages. HTC also announced today an integration of EXODUS with the Opera web browser, designed to streamline how customers use their cryptocurrencies. For one thing, customers who load some crypto funds into the Zion mobile wallet app will be able to conduct micropayments on websites using Opera or decentralized applications (dapps) loaded onto the device itself. “We are at the dawn of a new generation of the Web, one where new decentralized services will challenge the status quo. HTC and Opera have both made the bold decision to be the first to step up and enable this transformation,” he added. To protect users’ cryptocurrencies, the phone has a “kind of walled-off area,” typically known as a “trusted execution environment,” Chen said. This trusted environment is not cold storage, as users can connect the wallet to the internet. However, the phone’s operating system cannot interact with the wallet, giving it some protection from malicious actors able to compromise the phone itself, Chen said. And should users lose their private keys, Chen said they can fall back on HTC’s social key recovery system, which was announced last year. Under the device’s social key recovery settings, users can select a small number of their contacts to receive part of the device’s private keys. Should the device be lost or otherwise inaccessible, the user can then recover a portion of the key from each contact. Chen is setting an ambitious target for the HTC EXODUS. He hopes to ship 1 million units by the end of 2019 (for comparison, HTC reportedly sold some 0.98 million smartphones overall in 2017. Numbers for 2018 were not immediately available). Chen declined to say what sort of interest the phone saw during its early access period, though a press release said the expanded purchase option came after “validation from the crypto community.” The product was first announced during CoinDesk’s Consensus 2018, last May. The company will have stiff competition. Last week, Samsung – the world’s largest cell phone manufacturer – announced that its new flagship, the Galaxy S10, would include support for secure storage of blockchain keys. Unlike the EXODUS, the device will be mass-marketed to consumers from the get-go. However, the S10 will be significantly more expensive, with the base model costing $899.99. The cheapest variant, the S10e, sells for $749.99, still $50 more than the EXODUS. Moreover, where the EXODUS has its unique distributed key recovery system, Samsung will back up the private keys saved on the device through the company’s “Find My Mobile” service. Blockchain startups are also selling their own devices, with Sirin Labs selling its Finney for $999 and Electroneum announcing the M1 smartphone at the Mobile World Congress on Monday, targeting developing regions with an $80 offering.